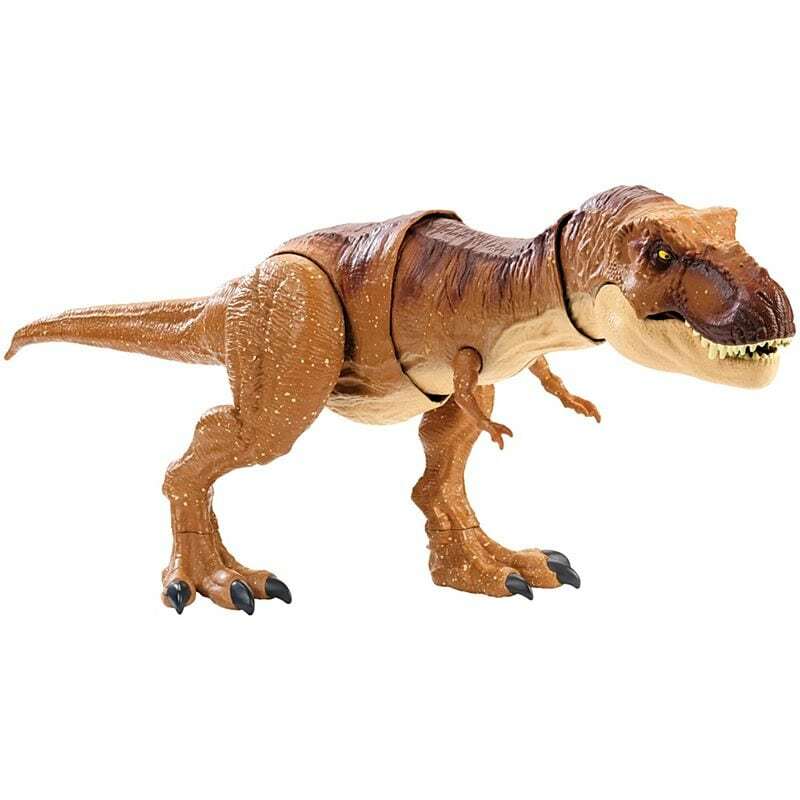 Right out of Isla Nublar comes Mattel’s Jurassic World Thrash ‘N Throw Tyrannosaurus Rex. This exciting action figure features an authentic design and cool sound effects like chomping, stomping, an impressive roar and a HUGE bite. Use her tail activation to open her mouth, pick up other human and dinosaur action figures then thrash and throw them across the room just like in epic scenes from the movies. Great for building imagination and story telling skills.